The Thornburg Foundation’s Community Funding program seeks to contribute to organizations that exhibit strong leadership, good financial management, a spirit of entrepreneurship, a commitment to excellence, and a history of making a difference in their field or community. The Community Funding Program of the Foundation supports public charities operating in the following fields of interest: environmental conservation, national and international public policy issues, human services and opportunities for children and youth. Learning to read well is challenging for many of our community’s children. Currently, 72 percent of children enrolled in the Santa Fe Public Schools don’t read proficiently at grade level. This means they can’t fully access the materials they need to master the skills and knowledge we expect them to learn. This a serious systemic problem, since those who can’t read fall further and further behind as they move from grade to grade. If they cannot read well enough to obtain even a high school diploma, they are all but guaranteed a life of low earnings, frustration, disappointment and failure. Each year, approximately 1,300 Santa Fe Public Schools elementary school children need additional assistance with reading. David Wildes pulled up to the Interfaith Community Shelter at Pete’s Place with a load of food for Santa Fe’s homeless community — 20 boxes of jerk chicken and barbecue platters from a food truck, Abo’s Caribbean Kitchen. The idea was simple, Wildes said: Do something nice for a group of people that often is either harshly judged or overlooked. He started raising money from friends and acquaintances to purchase meals from food truck owner Abo Dalrymple, a native of Trinidad, and distribute them to those in the city who are most in need. For Capital High School student Sebastian Jowers, it all started with a binder. The Food Depot is ending hunger in Northern New Mexico by providing food to a network of over 145 partner nonprofit agencies throughout nine counties. Partner agencies such as food pantries, meal programs, homeless shelters, youth programs, and senior centers distribute food received from The Food Depot to people who are experiencing hunger. In 2015, The Food Depot distributed 5.3 million pounds of food—enough for 4.4 million meals —to the most vulnerable members of our community. Children. Working families. Seniors. Someone you know is experiencing hunger right now. Gerard’s House is your Santa Fe center for grieving kids, teenagers and families, providing free grief support services since 1997. Our staff, board and volunteers share a common passion and goal: to offer meaningful help, comfort and relief to children, teenagers and families whose lives have been changed by the death of a loved one or by other significant losses. To meet this goal, Gerard’s House offers more than 25 grief support groups each week, serving 600 youth, ages 3-21, along with hundreds of adults. Because of the generous support of our partners, 100% of Gerard’s House services are free of charge to families. La Familia Medical Center is dedicated to providing excellent, affordable, comprehensive medical, dental and health promotion services to everyone in our community. La Familia Medical Center provides services to all individuals and families, regardless of income or ability to pay. Services are offered on a sliding fee scale, according to family size and income. We accept Medicare, Medicaid, all insurances, HMOs & workers’ compensation. The Interfaith Community Shelter (ICS) is a largely volunteer agency consisting of 40+ faith and community groups and nearly 2,000 volunteers. ICS’s mission is to provide safe, hospitable shelter, food and clothing to men, women and children experiencing homelessness, and to promote self-reliance by providing a point of entry to the other services necessary to make the transition from homelessness to stable housing. ICS is the only “come-as-you-are” or “minimal barrier” shelter in Northern New Mexico, which means the Interfaith Community Shelter, including the Women’s Summer Safe Haven (WSSH), accepts everyone, regardless of condition or circumstance, including their pets. Last year, ICS sheltered 1,376 discrete individuals for 20,871 bed nights, including 356 women and 121 veterans. The New Mexico Suicide Intervention Project (NMSIP), a 501(c)3 non-profit organization, was established in 1994 in response to growing concern about the increasing number of youth suicides in Santa Fe County and Northern New Mexico. Since its inception, NMSIP has implemented cutting edge prevention and intervention services to decrease risk behaviors related to suicide and increase resiliency and family support. NMSIP offers a model of collaboration that promotes the health of youth, families, and communities. NMSIP’s services are recognized “best practices” by the Centers for Disease Control and the New Mexico Department of Health. Leslie Garcia is the Administrative Director and Community Funding Officer at the Thornburg Foundation. She has two decades of experience in management and administration in the investment and legal sectors and is a native of the City Different. She brings with her a deep understanding of corporate culture, workplace dynamics, project management, marketing, and human resources. Ms. Garcia has a proven track record for planning, organizing and executing special events for corporate executives and community outreach. 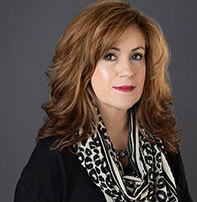 She earned her Bachelor’s degree in Business Administration from the College of Santa Fe.